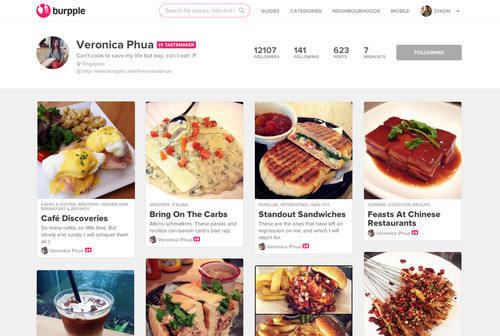 Food app Burpple now features S'pore's Top 100 eateries and curated food guides! If you are a Singaporean foodie, you would have heard about Burpple. 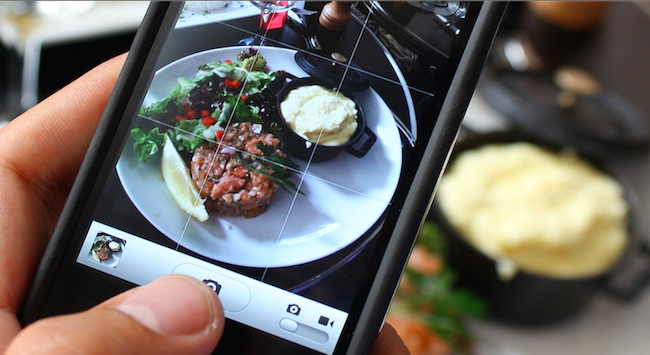 Built in Singapore, Burpple is also known as the Instagram for food: users can download the app and easily use it to discover and share all food related content with the Burpple community. 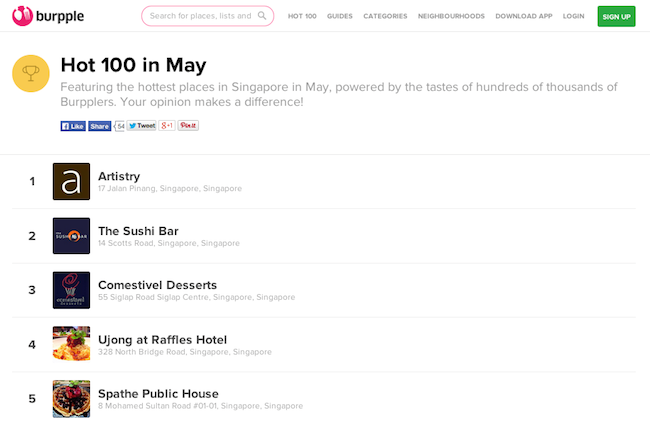 As a new mobile app update, Burpple included a whole new feature: Burpple Hot 100, which showcases Singapore’s top hot spots over the past month. 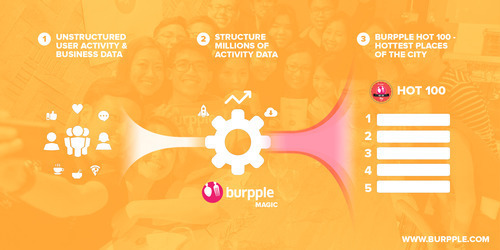 The Burpple Hot 100 is based on actual app and site activity data generated by over 200,000 locals in Singapore alone who use Burpple every month to discover and rediscover great places to eat and drink in the Red Dot. Steve, an accountant by day and foodie by birth, shares his favorite street food found in Singapore. Veronica, creative director, shares her favorite cafés found in Singapore and Hong Kong. 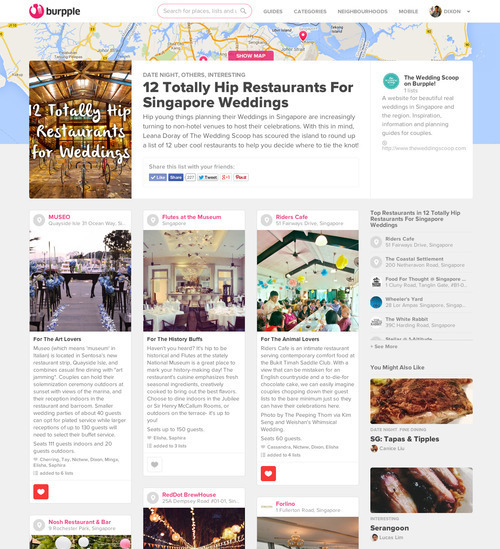 The Wedding Scoop, Singapore’s leading wedding portal has created a list on Burpple for hip and cool restaurants to celebrate your nuptials. Brands are using Burpple in creative and inspiring ways. Selected world class brands include Standard Chartered, Marina Bay Sands & Between. 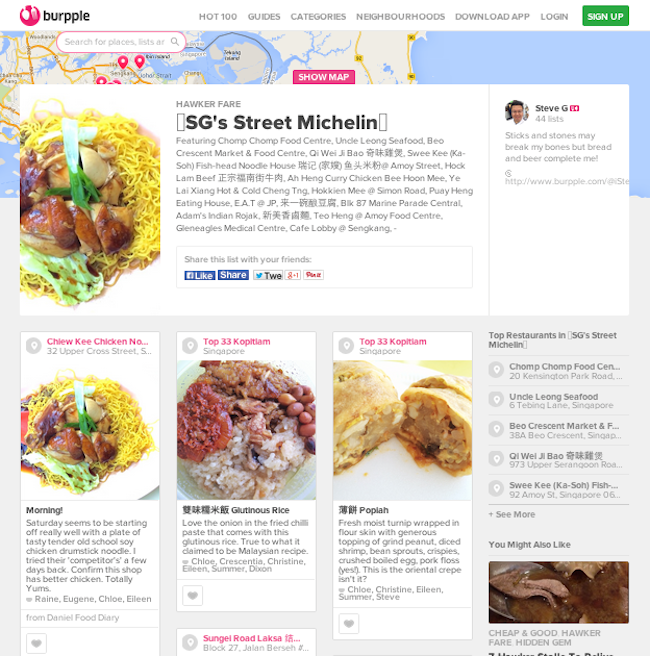 Founded in 2012 by three Singaporean entrepreneurs, Burpple is Singapore’s city guide for locals who like to eat and drink.